A nikawasaji (glue spoon) is used in the production of Japanese paintings for stirring and dissolving the glue in the nikawanabe (glue pot) and for spooning up the glue solution to pour into the palette. There are copper and brass types and the handle is curved so that the glue solution can easily be spooned up from the nikawanabe. 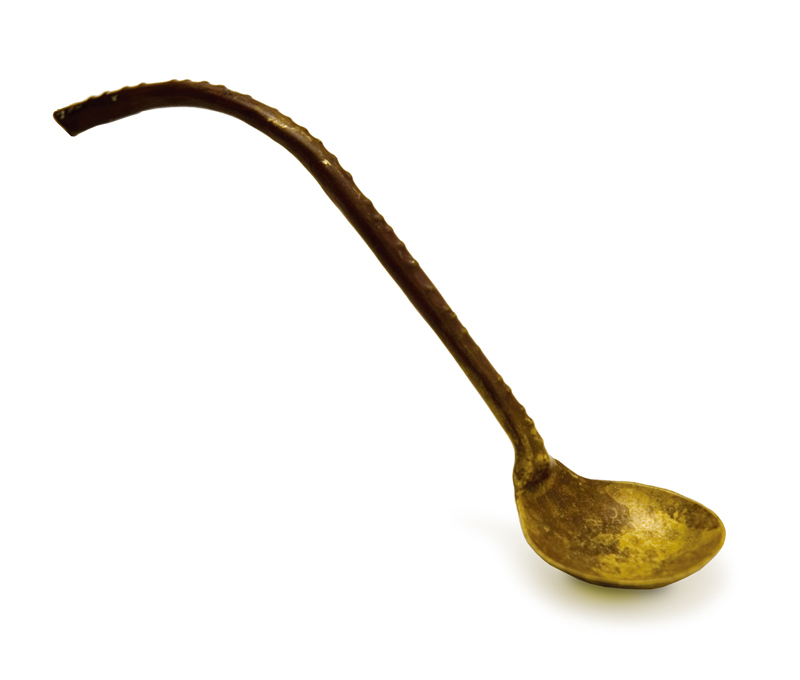 It is said that copper spoons also have the effect of preventing the glue from going off to some degree. An ordinary teaspoon can also be used as an alternative to nikawasaji by bending it into the required shape. Nikawasaji can be purchased at art supply stores that handle Japanese art supplies and are sold under the product name mizusaji (water spoon), etc.